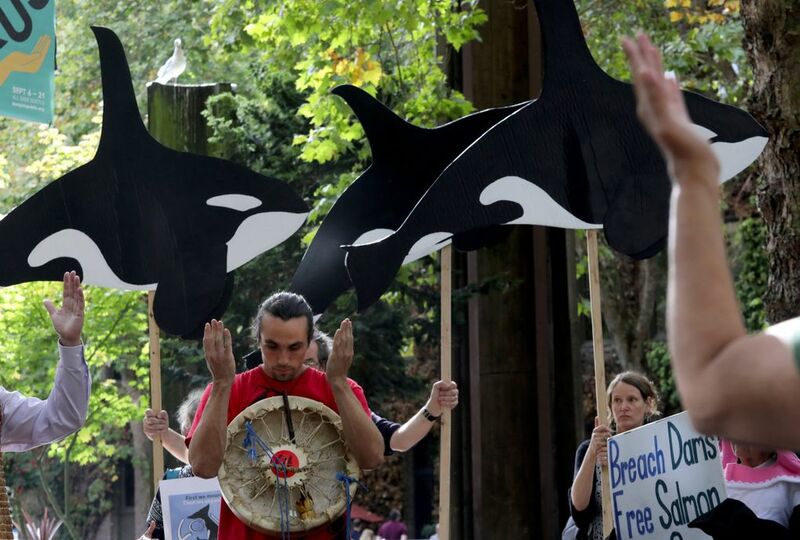 Orca champions have joined forces with dam busters, bringing new energy to an old fight to take down the Lower Snake River dams. ABOVE LOWER GRANITE DAM, Garfield County — The combine tracks are still fresh in this wheat field, like the marks in a just-vacuumed rug. The waters cruised by orca whales hundreds of miles away seem impossible to imagine, amid these waves of gold, rather than blue. Yet the Snake River winding through these fields connects the critically endangered killer whales to this dryland wheat country. The river is home to some of the salmon orcas need: chinook, swimming home to the mighty Columbia and its major tributary, the Snake. Now, a decades-long battle to take down the dams is finding new energy. 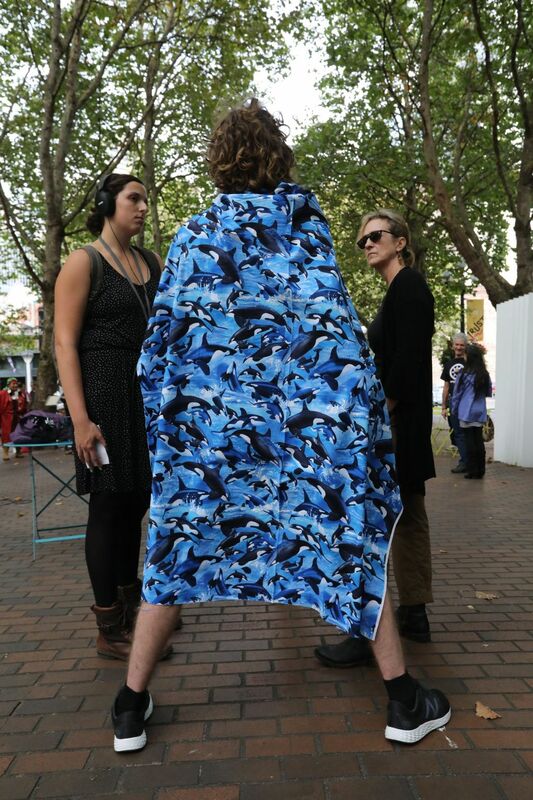 The dam busters are seizing on a new star witness: mother orca whale Tahlequah. 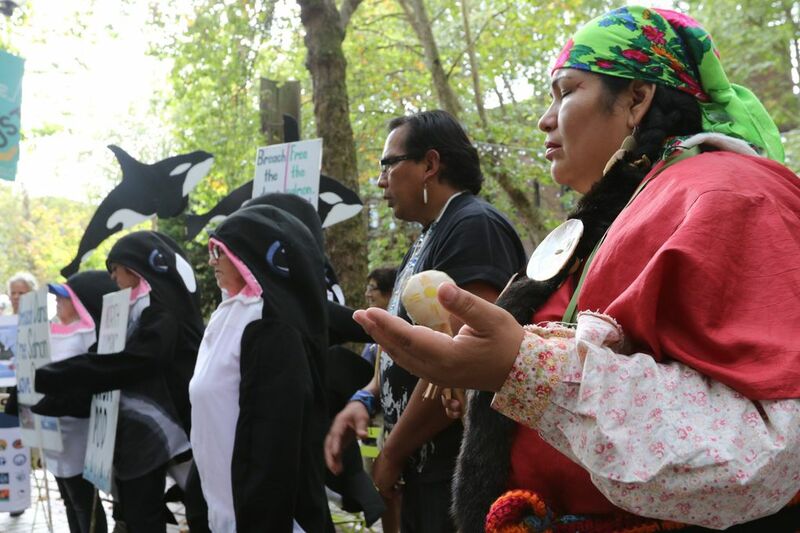 She swam with her dead calf through the Salish Sea for weeks in July, in a searing vision of loss watched around the world. 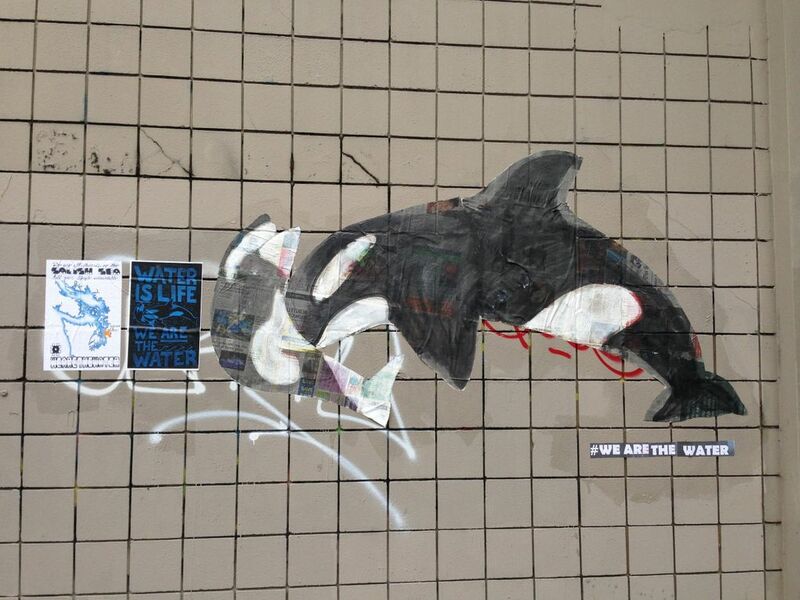 Then came J50, a 3-year-old orca wasting away, the third orca dead in four months. The losses galvanized orca champions now joining forces with those who have long wanted the dams gone because they hurt salmon. A new hybrid social movement is stirring. The word orca has become its own hashtag. Restaurants and markets have yanked chinook. Tahlequah is turning up in street art. 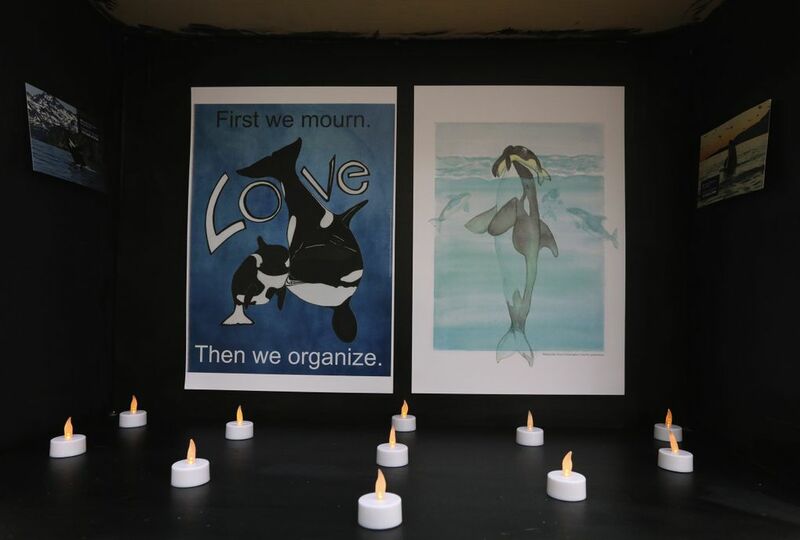 On Friday, mourners staged an orca funeral procession in downtown Seattle, wearing black and white as they marched to the federal building, where they remembered Tahlequah and her calf and rallied for dam removal. Pressure is also coming from changing power markets and shipping trends for wheat and other products, undercutting the benefits of the Lower Snake River dams and the reservoirs they create. The dams have staunch advocates who say they are part of the economic lifeblood and way of life in the Northwest: wheat growers that use the waterway to get their crop to market, and farmers that use irrigation from one of the dams to grow grapes, apples and other crops. They also include barge and tug companies, ports, utilities — and their backers in Congress. But each time an orca has died this summer, Ken Balcomb, founding director of the Center for Whale Research, has called for dam removal. Time is running out for the whales, now down to 74 animals and at grave risk of extinction, who need more food fast. “We are looking at the twilight of this population,” he said. A tugboat twirls in the lake that once was the Columbia River, and a tanker truck used by the U.S. Army Corps of Engineers to haul juvenile salmon past the dams is all shined up for display. This recent rally for the dams in Kennewick drew more than a thousand people. 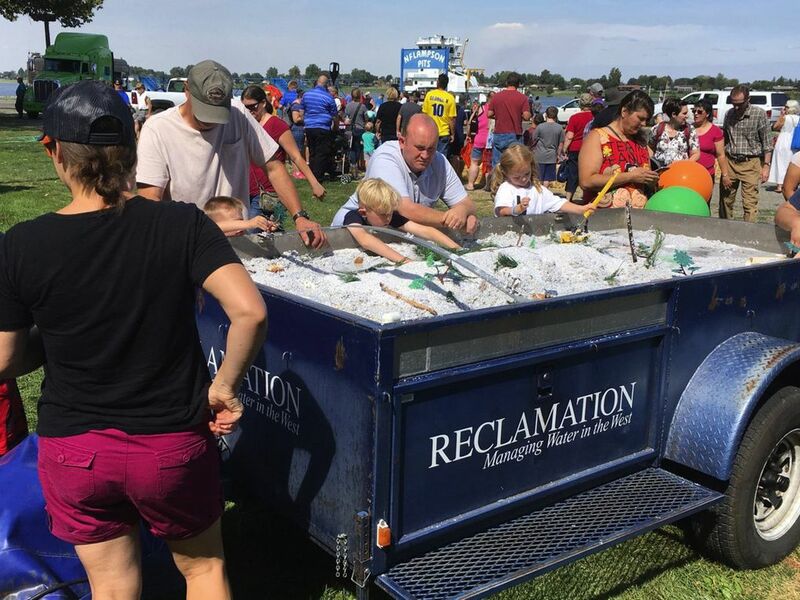 At dozens of booths sponsored by utilities and agribusiness, dam boosters celebrated the benefits of the Federal Columbia River Power System — hydropower, irrigation and flood control. First built beginning in the 1930s, the dams create hundreds of miles of slack-water reservoirs, including behind eight dams on the Columbia and Lower Snake that provide about 4,300 megawatts of power, enough to light about four cities the size of Seattle. The reservoirs also create a seaport in Lewiston, Idaho, 465 miles from the Pacific. At a recent congressional field hearing in Pasco, at the center of dam country, schoolchildren kicked things off outside city hall with a sweet-voiced rendition of “Roll on Columbia Roll On,” as a giant American flag, unfurled from a public-utility-district bucket truck, flew. In a morning of testimony Marci Green, president of the Washington Association of Wheat Growers and a sixth-generation farmer, was among those praising the dams, particularly barging on the waterway to get wheat to market. “Barging is one of the lowest cost, most environmentally friendly modes of transportation we have,” Green said. Yet transportation on the Lower Snake has been decreasing over the years, as products increasingly move by truck and rail. Total tonnage shipped on the Lower Snake River dropped 37 percent in less than a decade, as of 2016, continuing a long-term trend. Even as the waterway and the whales endure their own declines, the agency that sells power from the federal dams is struggling, too. Booming production of natural gas, and a surge of renewable energy, including wind and especially solar power out of California, has created an unprecedented glut of cheap power throughout the West. That’s a problem for the Bonneville Power Administration (BPA), which sells electricity from the federal network of dams. BPA used to cash in on the wholesale market, especially in the spring, as rivers swell with runoff, and Californians turn on their air conditioners. California’s surge into solar-power generation has cratered the lucrative sales BPA used to count on. Today BPA sells power for about $34 a megawatt hour, while the price for the same amount goes for $20 on the wholesale market. 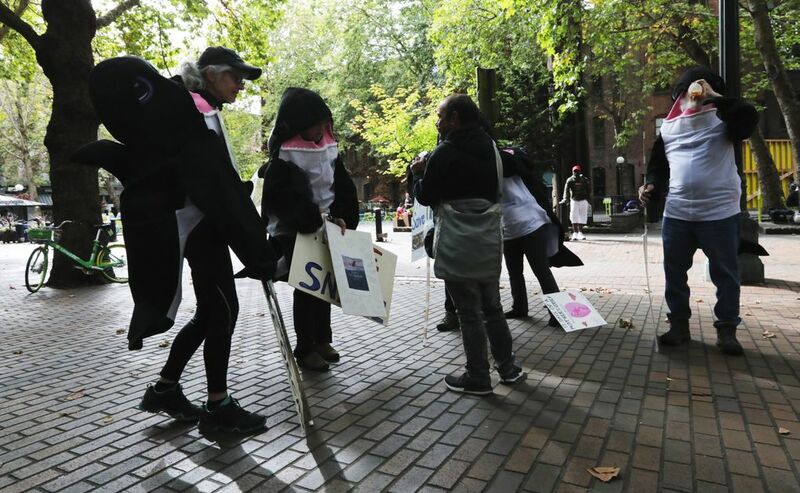 Tightening the revenue squeeze is the agency’s worry that its customers under long-term contracts, including public-utility districts around the region and Seattle City Light, will flee BPA’s higher prices when those contracts expire in 2028. As both demand for its power and revenues plummet, the agency has blown through its cash reserves and hiked its rates four times in 10 years. The utility is slashing costs, including its fish and wildlife program intended to address damage done by the federal hydropower dams all over the region. In the 1990s NOAA Fisheries listed the first Northwest salmon and steelhead under the Endangered Species Act. Eventually 13 stocks in the Columbia River Basin were listed as threatened or endangered. By now federal agencies spend $500 million a year on fish and wildlife programs to make up for environmental damage caused by the dams. For more than 20 years, federal judges have called for an overhaul of dam operations on the Columbia and Snake rivers to boost salmon survival. For the fifth time the issue is back in federal court, and once again, a judge has called for federal agencies to take a hard look at the removal of Lower Snake River dams. Those dams have long been a target because of the challenge they pose to fish. Shipping also has been in a steady decline on the waterway, and the dams provide only about 5 percent of the region’s power, which today is easily replaced, if it’s needed at all. The dams provide no flood control and irrigation takes place only at Ice Harbor dam, nearest the Columbia. 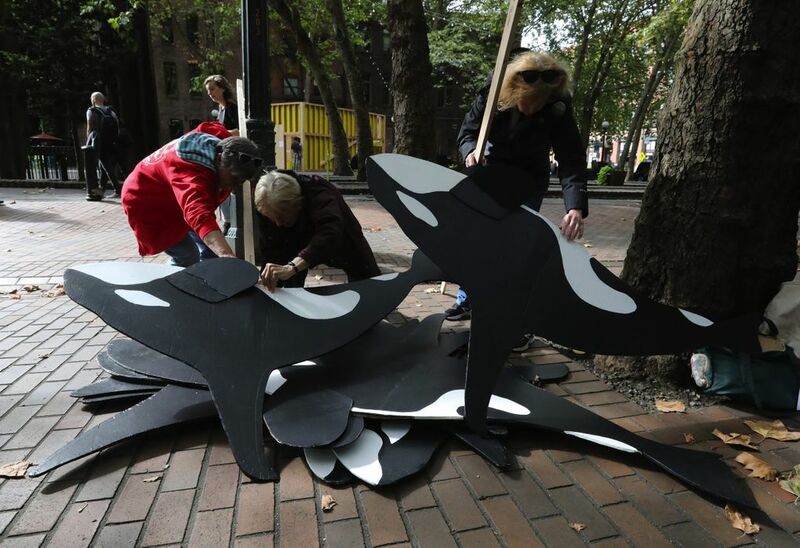 The issue, initially regarded as a long shot for zealots, is gaining traction among a wide range of citizens and scientists as a sound business decision and necessary ecological choice to help save the orcas and the salmon they depend on — and even help shore up BPA. The critically endangered southern resident orcas eat primarily chinook, and some of their diet is born — and too often dies — right in Lower Snake River dam country. The Columbia and its tributaries was once the biggest salmon producer in the world, teeming with some 16 million fish. Today only about 1.1 million salmon come back to the river. They are smaller than they used to be, and mostly hatchery fish. The billions of dollars spent to improve salmon passage at the dams has been partly successful, with an average of 97 percent of baby salmon migrating down river surviving as they pass each dam. But a whack is still taken at each of the eight dams. Then come predators in the slack reservoirs and the estuary before baby salmon even reach the sea. Salmon still struggle for survival in the Columbia and especially the Snake, that much farther, and four more dams upriver from the sea. Climate change is adding to those long-standing problems, up-ending the ocean food chain, and raising reservoir temperatures to lethal levels for weeks at a time — killing salmon before they can get home to spawn. In good years, wild-chinook returns to some Columbia tributaries, such as the Yakima and John Day, as well as the upper Columbia, are on target for recovery. But the rate of returning wild chinook from out-migrating baby Snake River chinook is still below what’s needed to prevent extinction, let alone recover the species. That’s bad news for the orcas that depend on Columbia and Snake River chinook, amid a myriad of other fish runs they target throughout their seasonal year, in a wide-ranging foraging pattern that scientists are just now discovering. Research tracing the DNA of fish caught by the southern resident family of orcas that cruise West Coast and trans-boundary waters of the Salish Sea shows that orcas mill offshore from the mouth of the Columbia each spring, eager for the nutrition of calorie-rich chinook. The whales need these fish to carry them until the summer runs from the Fraser River. They also depend on chinook from rivers all over Puget Sound. Orcas are suffering unreliable and insufficient food across their migratory range. To be sure, they face other problems, including vessel noise and toxins. But lack of adequate food makes everything worse. 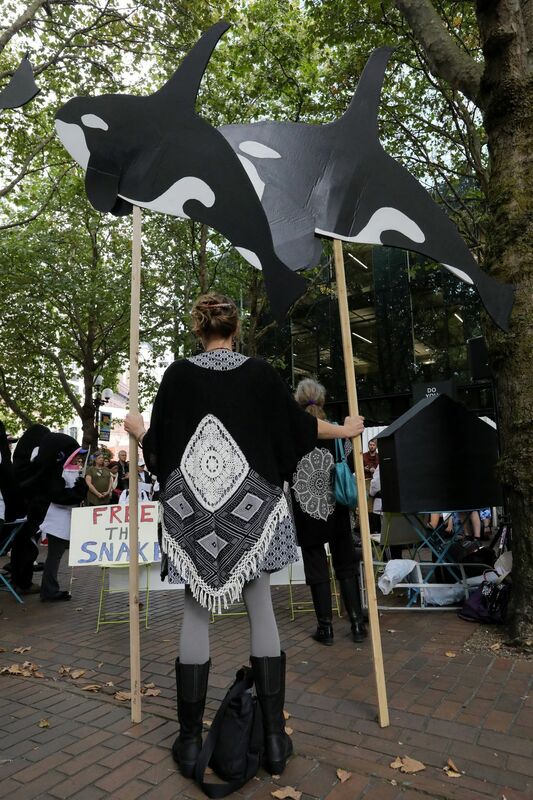 Beyond dam-boosting towns and dam-removal rallies in Seattle and Portland, another far more near-term solution to get more food to the orcas is quietly emerging. Negotiations are now underway among Gov. 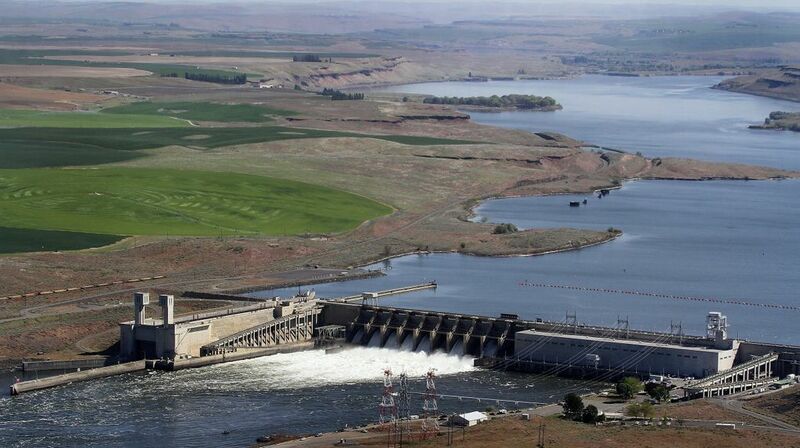 Jay Inslee, Bonneville and tribes to increase the amount of water spilled over dams on the Columbia and Snake, to help young fish in their migration to the sea. Spill already has been shown to be among the best ways to boost salmon survival. 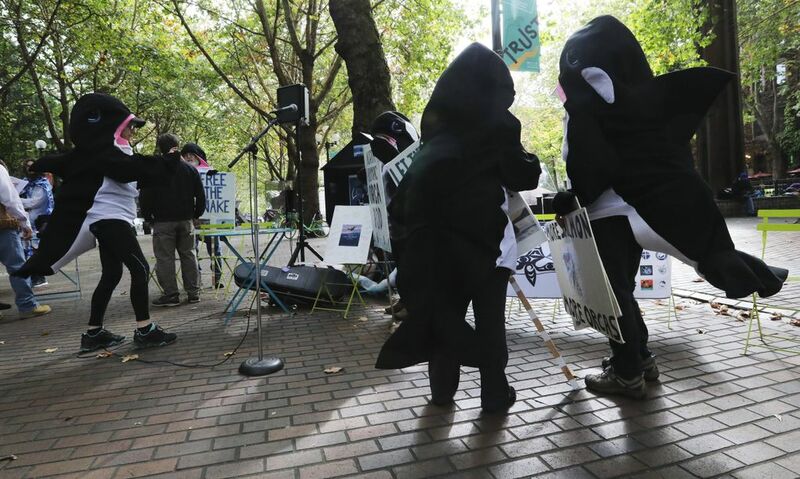 Turning up the volume of spill is likely to be among recommendations expected Monday in a draft report from the governor’s task force on orca recovery. 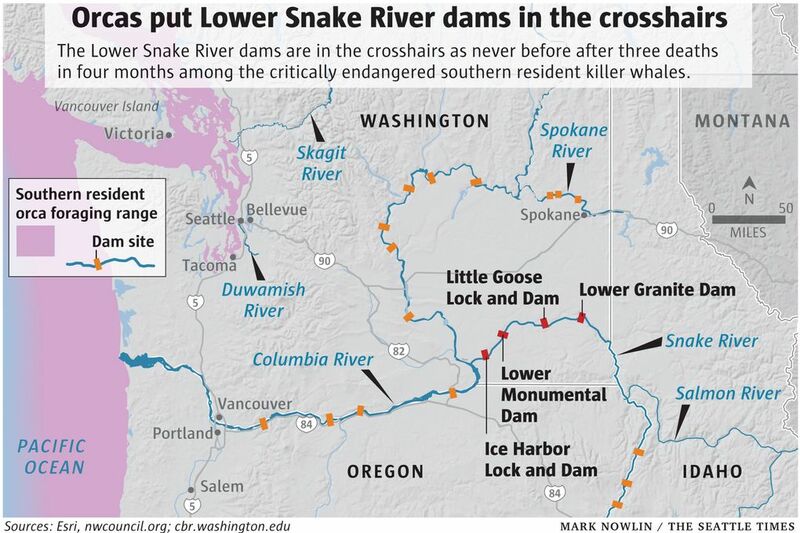 Whether the task force eventually also will recommend dam removal on the Lower Snake is yet to be seen — but Inslee has instructed to keep it as an option during negotiations all summer. Multiple federal agencies years ago concluded dam removal on the Lower Snake would actually deliver the biggest benefits for salmon. 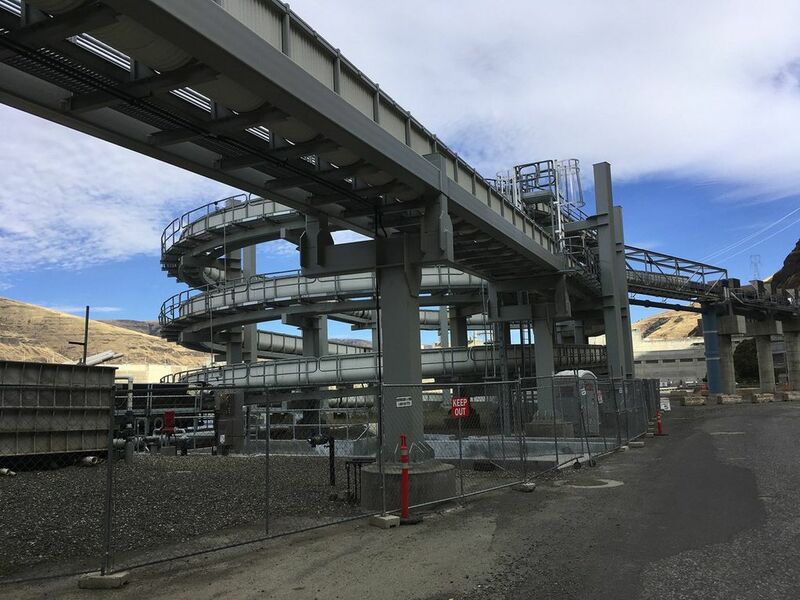 But James, the Bonneville deputy director, said BPA still needs the Lower Snake River dams in its empire of energy generation to help balance power supply and demand. It’s an old argument contested by many amid new market stresses, and ecological decline stark as dead baby whales. “It’s a new day,” said Rebecca Miles, executive director of the Nez Perce Tribe, which advocates freeing the Snake.